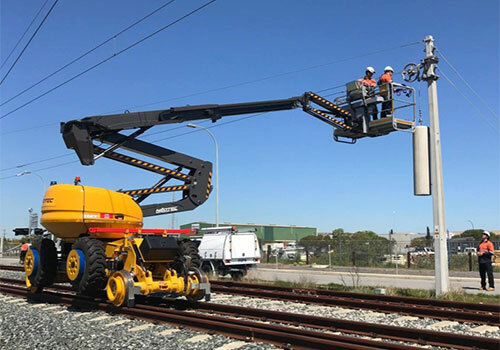 Neotec engineers and builds specialist vehicles as well as lifting and handling equipment particularly for railway infrastructure maintenance and overhead catenary networks. 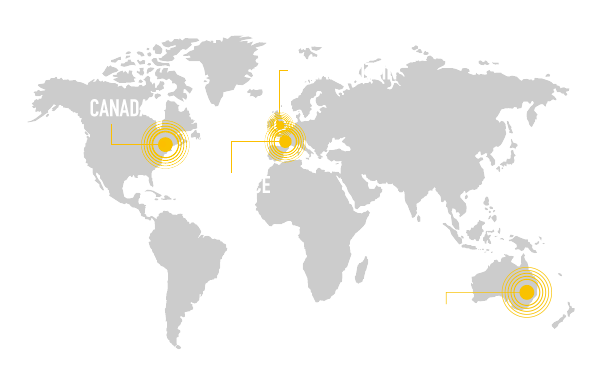 Today, over 500 vehicles built in our factories are in use, not only in France but also throughout the World. 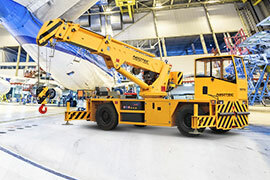 NEOTEC also designs and builds platforms, cranes and specialist trolleys for aerospace, defense and powerline network purposes. Thanks to its range of products plus the complementary nature of its offer within that range, NEOTEC has become a valued supplier to the biggest players on the Western European and North American markets. NEOTEC innovates and manufactures and always with top notch customer service firmly in mind. 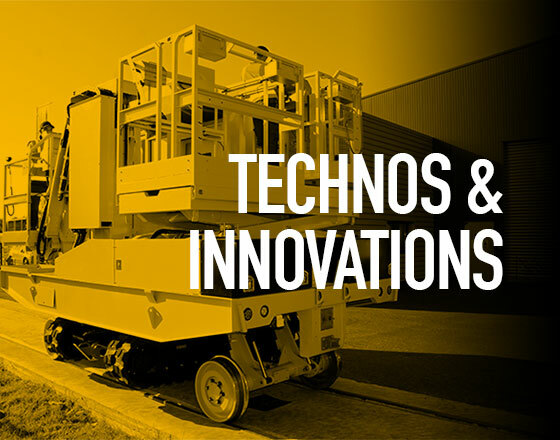 Continuously differentiating its products by striving to make, what the machine is capable of providing, as simple and as safe as possible to use. 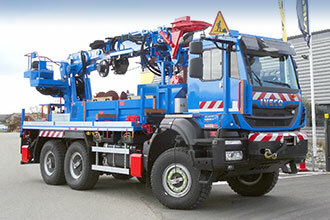 But above all by supporting its customers daily throughout their vehicle’s life cycle. 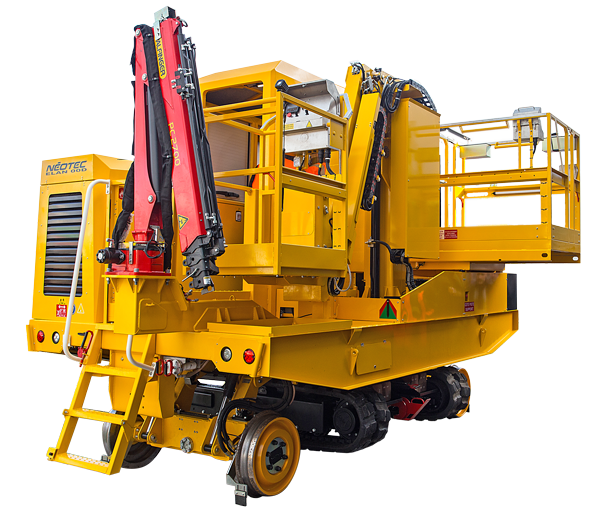 NEOTEC provides tailor made training, on line technical assistance as well as repairs and reconditioning through a structure which does its utmost to meet all customer needs, for example: the new fleet of railroad plant for hire in France. 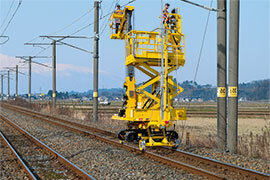 Australia's most popular road-rail EWP is the NEOTEC SKYRAILER. With 360 degree slew, 400kg basket capacity and approved by John Holland, ASA, Metro and more it's not hard to see why ! 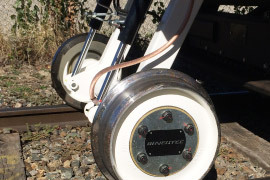 NEOTEC was exhibiting at INNOTRANS in Berlin from September 18th to 21st. After the successful last editions, NEOTEC has renewed its participation in the exhibition. Many visitors have come meet the team and the innovations shown on the stand. On stand O/303 you could see the ELAN D, new MEWP, the SKYRAILER 400 C.14, the new lifting basket on tracks, but also the new HYDRION range, range of hybrid axles. Thanks to everyone who came to our stand and see you in two years’ time for the next edition of INNOTRANS! NEOTEC is the proud owner of 3 beehives for more than a year now. With the help of the company BEESOLIS, NEOTEC made its first honey crop. 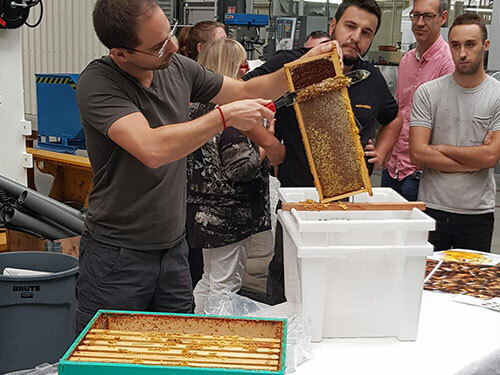 Mr Albrespy, owner of BEESOLIS, showed NEOTEC employees the different steps of the crop. The whole NEOTEC team has been beekeepers for one morning during one of the many breakfast organized by NEOTEC. Seeking to address the North American Market’s needs for road/rail vehicles, NEOTEC set up its Canadian division in 2011. Early 2016 it transformed its London sales office into a production company to meet the British railway network’s maintenance needs. Each subsidiary has its own engineering, technical support, assembly and manufacturing resources enabling it to better adapt NEOTEC vehicles to local requirements. 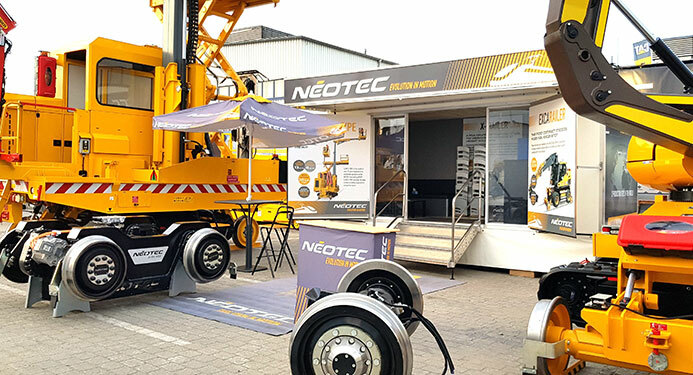 NEOTEC is also developing after sales, crucial to being able to offer its vehicle users a reliable, global and local service provided with full operational responsiveness.